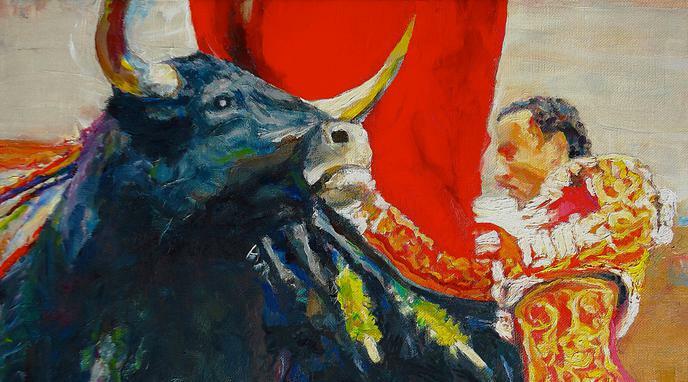 There are other animal practices that are equally or more cruel than bullfighting but legal. Zoos imprison animals in deplorable conditions for the entertainment of humans. In laboratories, animals are tortured and die as a result of chemical testing. The slaughter and inhumane treatment of livestock is widespread. Hunting is legal in most countries, and often leads to slow and painful deaths for animals. Bullfights just happen to have a larger audience for this spectacle. Claiming that other practices are legal is not a justification for bullfighting also to be legal. Other practices are legal because they serve a higher purpose that justifies the cruelty, while bullfighting is practiced solely for pleasure. The conditions of animals in other practices, such as in the meat industry and laboratories, are being constantly improved through regulations and new technologies.